Dover maintains three cemeteries – Dover Burial Park, Fourth Street Cemetery, and Maple Grove Cemetery. Dover City Cemeteries provide your family with a wide range of options in choosing a location and type of memorialization. From traditional in-ground interment, mausoleum entombment, and cremation niches, Dover City Cemeteries can help you find the most comfortable solutions for your loved ones. 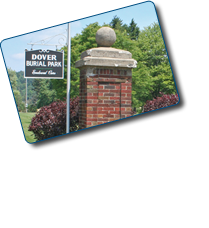 To learn more about Dover’s cemeteries, click here . For more information about Dover City Cemeteries, call Scott Harmon at (330) 343-0011 or email at scott.harmon@doverohio.com. There also are funeral homes in the area that have a rich tradition of respect and quality service in our community. Click on a name below to be directed to their individual web sites.